The event will be webcast at https://www.twitch.tv/wpirobotics starting on the morning of morning Friday 3/7/19. Matches will be archived and publicly available after the event. We are working with hotels and travel companies to get discounted rates. Please check back often as we will update this list with more discounts. NOTE: All hotels have limited space blocked for the event, so please do not hold spaces across multiple hotels. Booking Link will be provided, or call hotel directly to book. Mention VEX Robotics for block/rates. Block available until 2/7. After that, rate may be honored if space is available. Approximately 8 miles from WPI Sports & Rec Center. 35 Major Taylor Blvd, Worcester MA. Call hotel directly to book. Mention VEX Robotics for block/rates. Block available until 2/14. After that rate will be honored if space is available. Restaurant on-site (Uno's Pizza), many restaurants within walking distance. Call 508-363-0300 and mention VEX Robotics or the group code VEX. Block available until 2/7. After that rate may be honored if space is available. Parking not included. Overnight free parking MAY be available at nearby WPI lots. Located adjacent to WPI campus, approximately .5 miles from WPI Sports & Rec Center. WPI Shuttle may be accesible to participants (stops across the street from hotel). Call call 774-420-7555 and mention VEX Robotics or the group code VEX. Block availabe until 2/7. After that, rate may be honored if space is available. Use this link for discounted rates. Note their rates will be increasing in 2019, so book before end of year to lock in lower rates. Teams who sign up and cancel before January 2nd, 2019 will receive a full refund. Teams who sign up and cancel between January 2nd, 2019 and February 7th, 2019 will only receive a full refund if they are able to be replaced by another paying team. If not, they will receive a $100 refund. Teams who sign up and cancel after February 7th, 2019 will not receive a refund. In the event of inclement weather, a decision will be made on how the competition will proceed. This may include extended hours on some days or removal of matches from the competition schedule in order to complete the event. Every effort will be reasonably made to continue the event as planned. We will be seeking experienced and rookie volunteers to serve in all roles at the inaugral event. We will be posting details on how to sign up. If you are experienced in key positions within VEX (judging, refereeing, etc) and are interested in continuing or being promoted to a leadership position at this event, you can email vexrobotics@wpi.edu. Email to vexrobotics@wpi.edu is preferred and will receive the quickest response. Video archive of the event available on our Twitch Channel! 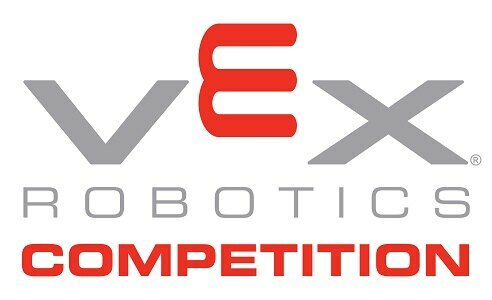 WPI is very excited to host 96 VEX Robotics teams at The WAVE (WPI Annual VEX Event) This inaugural event will be a celebration of all these team's hard work this season and promises be a show that you can't miss! Three teams will advance to the VEX Robotics World Championship; the two teams on the winning alliance and the winner of the Excellence Award. If one or more of these awards is given to a team that is otherwise already qualified for worlds, the qualification spot(s) will pass to the team(s) with the highest skills score. If the highest skills ranked team or teams are also qualified for worlds, the spot(s) will pass onto the team with the next highest skills score, and so on.